The November end of season international regatta, the Bacardi Keelboat Regatta (BKR), is back for another installment. The regatta will see three fleets racing in the Great Sound starting November 15th and concluding November 17th with Etchells, J105 and IOD Fleets taking to the waters. Bacardi is once again the title sponsor with Bermuda Tourism Authority as a supporting sponsor. A spokesperson from Bacardi stated, “Bacardi has always been a strong supporter of sports and in particular sailing, both in Bermuda and internationally, and is very pleased to once again support this event. The international flavor of sailing competition and the natural comradery that goes with it resonates with Bacardi’s values. We wish all the competitors three days of great sailing in the pristine waters of Bermuda”. Once again the Etchells will be using this event as their 2018 Nationals which is a qualifier for 2019 Etchells Worlds. The field should see tight competition between the five competitors: Joshua Greenslade (BER), Mark Watson III (BER), Tim Patton (BER), John Hele (CAN) and Peter McLennen (USA). The J105 fleet is fielding its usual strong contingent of competitors with international helmsmen and crew hailing from the US and the UK paired with an equal compliment of local sailors onboard each boat. 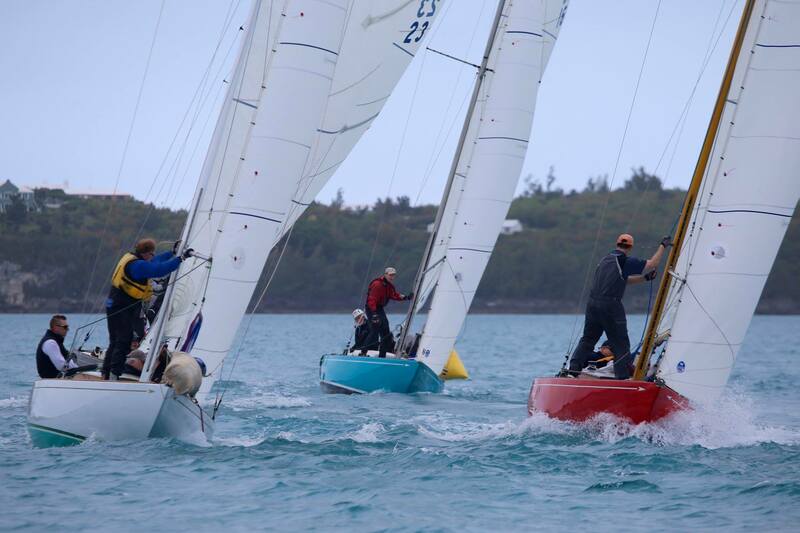 Most have participated in the event several times over the years annually yielding one of the strongest gathering of amateur sailors in Bermuda. The team of Peter Bromby and Chris Murphy remain favorites, but racing is again expected to be tight. There are seven J105s competing this year in a Bermuda Series where the Bermuda skipper drives, alternating races with the international skipper for the International Series and combined results for the AXA XL Overall Trophy. This regatta continues to be the class’s signature event of the season. The IOD series continues to grow each year – there will be a total of nine IODs out competing for the Armada Jug. There will be 2 local skippers in the IOD fleet. Leading the group is the perennial fleet champion Patrick Cooper who is joined by veteran skipper Bob Duffy. Cooper won the event last year and will be looking to repeat. Making up the rest of the fleet are 7 overseas participants from the United States and Canada. Nick Schoeder from North East Harbor, Maine. Joining him from North East Harbor is Rick Echard, a frequent visitor to the Island and keen IOD sailor. From Baltimore is Courtney Jenkins who has raced in Bermuda a number of times but is returning after an absence of many years. He will be among the favorites to win the event. However, the most experienced participant is Evan Petley-Jones from the Nova Scotia IOD fleet. He recently won the IOD class in Chester Race Week and will be hungry to add the Bacardi Keelboat trophy to his successes this year. There are a lot of newcomers this year: Manhattan Yacht Club, the newest IOD fleet are 2 competitors, Caner Dinlenc, Eivind Karlsen and Oliver Coolidge from the Nantucket fleet.